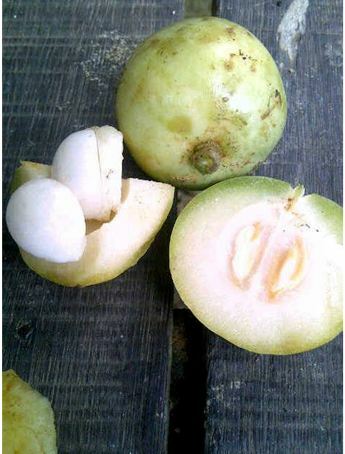 Lempaung is a fruit from South East Asia. It is known by several local names in the region. 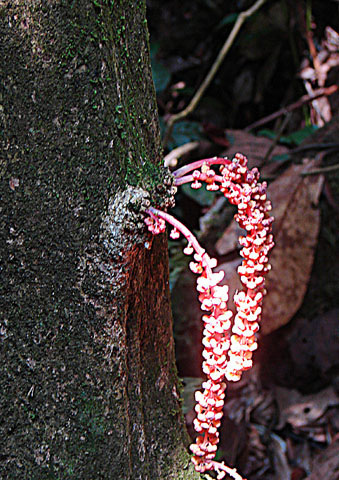 It is believed to be a native of Indonesia and Malaysia. 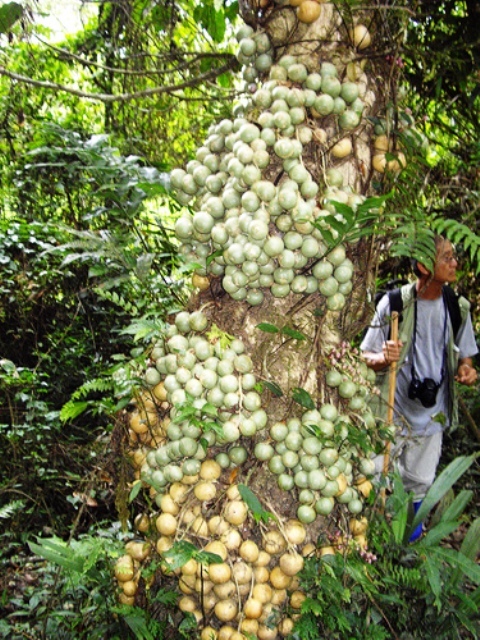 Lempaung is a spectacular tree with large leaves with hundreds of fruits on trunk and sides. Lempaung grows wild in Peninsular Thailand, Peninsular Malaysia, Sumatra, Java and the Philippines. An evergreen tree, 3-30 m high, bark grey to pale brown to yellowish to whitish to greenish. Leaves large, ovate to obovate, 9.2-45 by 3.7-26.5 cm, petiole 16-184 mm long, glabrous, apically and slightly basally pulvinate, green to grey to brown-green when dry, raised glands usually present, margin (not) ciliate, usually hyaline. Staminate inflorescences cauline, many clustered together, 3.5-18 cm long, 0.1-1 mm thick, glabrous to sparsely hairy, branching minute, many-flowered; staminate flowers 2-7 mm diam., yellow to pink to purple to cream-white; pistillate inflorescences cauline, few clustered together, 8-33(-50) cm long; pistillate flowers 3.5-10 mm diam., yellow to orange to purple to reddish cream to whitish; sepals 4 or 5, ovate to obovate, 1-6 by 0.9-3.2 mm, densely hairy outside, (sub)glabrous inside, caducous; petals 2-8, reduced. Fruits globose to ellipsoid, 1-4-seeded berries, 24-54 by 16.5-41 by 16.5-41 mm when dry, 38 by 60 mm when fresh. Seeds ellipsoid, laterally flattened, 12.2-26 by 8-15 by 4.8-9 mm; arillode white to grey, translucent; testa yellow to whitish. Lempaung fruits taste sour and therefore cannot be consumed as such. These are eaten with sugar and salt. Fruits are also made into beverages. Lempaung fruits are collected from the wild only. This fruit is rarely cultivated except in gardens where it is planted as a specimen tree only. However, if planted, it grows well under tropical humid conditions. New plants can easily be raised from seed.